The Braxton Hotel Is A Four 4-Story Turn Of The Century Hotel Located In The Logan Circle District Of Washington DC. The Braxton Hotel Enjoys The Charm Of A Tree Lined Streets And Close Proximity To Local Attractions While Offering A Budget Price In A Prime Location. The Quietness, Cleanliness, And Intimacy Are The Features Very Few Hotels Can Offer At The Price. 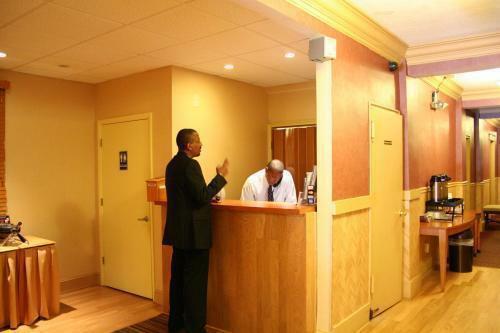 The Braxton Hotel Has 57 Comfortable Rooms Including Non-Smoking Rooms. All Rooms Have The Following Accommodations: Remote Control, Cable TV With 60 Channels. HBO, Movie Channel, ESPN, HTS, CNN More. A/C And Heater, Direct Dial Telephone And Private Bath Tub And Shower, Fax And Modem Ready Telephone Line.